Buy 30KW microwave pine nuts roasting equipment - Shandong Leader Machinery Co.,ltd. Cameroon and other countries in various regions. shandong leader machinery co.,ltd. is a professional production of Microwave Roasting Equipment equipment, scientific research, manufacturing, installation, commissioning as one of the manufacturers. Size can be large and small, daily output of 1-2000 tons, can provide customers with the overall design and special services, to provide users with world-class advanced technology and Microwave Roasting Equipment complete sets of equipment. Microwave is a kind of high frequency wave, transform at a speed of 2.4 billion times per second, cause high speed wheel pendulum motion of water molecules, they mutual friction produces a great quantity of heat, easy to dry materials. After object absorbing microwave energy and converted into heat, temperature of object rise up, containing moisture evaporation, dehydration, drying; If properly control the dehydration rate, when to dry material can make the material inside structure hydrophobic, puffing. In the process, also can control the higher heating temperature, make the object in a state of roasting. Microwave roaster use the heating effect of the microwave equipment to work on the sunflower seeds, peanuts, sesame seeds, almonds, cashews, filbert etc nust. This microwave roaster apply to the end of the nuts produce line, for last drying and roasting. The nuts processed via the microwave equipment, because more crispy, and fragrant enhenced, the moisture drop down to 3-5%. At the same time, the nuts have a puffing effect. Why the nuts will have this effect after treated by the microwave equipment, just becaue the microwave heating meth. The microwave heating, is microwave penetrit from the meterial, the microwave take the water melcules running and friction, so that produce heat, that is to say, the material itself produce heat, and heat is from inside of the material. So that, drying fast, roasting with puffing effect. 1. Microwave production parts, the main parts of microwave equipment-- Magnetron. 2. The cabinet of the microwave equipment, material will be treated in it. tunnel to suppress the microwave running out. 7. Conveyor belt transit system, including belt/motor/speed reducer etc. 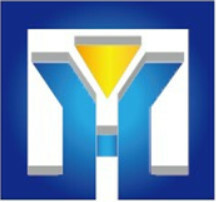 For celebrate our facotry moved to new yard, we make a sales promotion: engineers on site installation direction for free. After the equipment reached to you, just assemble it as the installation direction, and connect the electric lines is ok. Then connect the belt. the installation is finished. 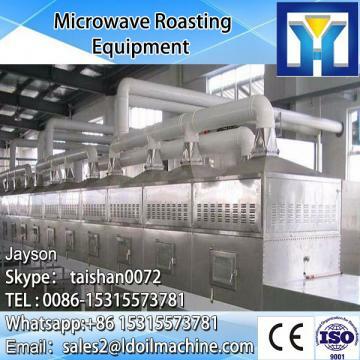 For the whole Microwave Roasting Equipment,warranty is 12 months,within 12 months,if have equipment quality problems,we will provide a30KW microwave pine nuts roasting equipmentessories freely. After the expiration of the warranty period,if have spare parts problem,we only receive the cost of required replacement parts.We commit we will provide free technical support of equipment all whole life. Our company has engaged in producing and exporting 30KW microwave pine nuts roasting equipment for many years, and until now, our machine has exported to overseas market, such as Brazil, India, Indonesia, Russia, Thailand and so on, and get the foreign customers' unanimous praise. We believe that you purchase shandong leader machinery co.,ltd. 30KW microwave pine nuts roasting equipment is your best and sensible choice.